It's always the right time to have THE TALK's official mug! 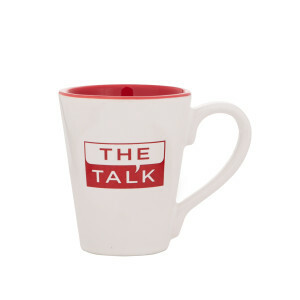 For the first time, fans of THE TALK can enjoy their morning coffee or evening cup of tea with the same stylish mug used each weekday by hosts Sheryl Underwood, Carrie Ann Inaba, Sharon Osbourne, Eve, and Sara Gilbert on CBS’s Daytime Emmy Award-winning talk show. I recently retired so now I am able to watch. My daughter had it on at her house and I really enjoyed the show. I love mugs so I had to have the mug on the table. I received it in no time and I love it! I love the talk!! Each and everyone of you make my day. I love the topics the way each of you handle them . Great job keep it up. Thanks for making my day brighter. I have been watching The Talk for the last few years. All of you are warm people who touch on a number of topics. You make my day, everyday. I would so like to have one of your mugs. I purchased the talk mug &amp; I love my mug. It fits great in my hands &amp; keep my tea nice &amp; hot! Beautiful mug and fun to use while I watch The Talk! I love The Talk and one reason is you helped me settle into retirement a whole lot easier! Keep on talking!!! I love The Talk and i watch it every day. Shout out to Sheryl Underwood, Sharon Osbourne and all the ladies at the table. Keep on Talking! I have been watching The Talk for several years, never miss it. The show keeps me informed. Something new to look forward to every day. I started watching The Talk 2 years ago after I lost my job due to health problems. I was so unhappy and found that watching your show gave me something to look forward to each day. All of you are so interesting, hilarious, beautiful and warm. You make your audience feel like we're sitting there with you. I'd love to have a mug so I can sip my coffee from it while i enjoy The Talk! I have been watching the talk all because of sheryl underwood. Girl!!! You are the best, you rock. You crack me up all the time sharon orsbourn you are awesome too, so are the rest of the team. Keep up the good word. I would love to have a mug. I love The Talk! The ladies r very hilarious and they touch on all subjects. My husband bought me the mug for Mother’s Day. I love it!! And it is very sturdy and will last for ever. And it looks good too!! 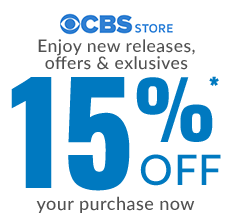 I watch The Talk daily and love the case and program. The Talk interacts with everyone. It shares a message educating the public and brings laughter to your heart. Prior to retirement, I taped the show daily. I have been wanting a cup for the longest so that may feel part of the show. There is nothing I would change on the show, other than to have a cup in hand. Thanks guys..great program.